San Diego Religious Worker Visa Lawyer by Habib Hasbini, Attorney at Law. 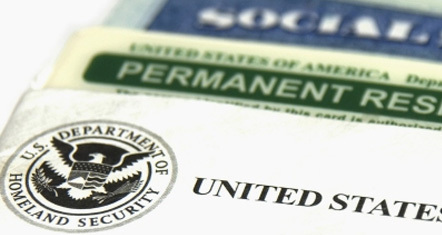 Obtaining a R-1 visa to come to the United States as a religious worker can involve a difficult process. The U.S. Citizenship and Immigration Services is very strict about the type of evidence that must be shown in order to qualify as a religious worker, and any omissions can cause delay or denial of your application. Habib Hasbini has extensive experience representing rabbis, ministers and imams, as well as professionals who work in religious organizations. He has lectured to the leadership councils of Baptist churches in San Diego regarding visas for religious workers. One of the most valuable services the Law Offices of Hasbini is an initial consultation to review your R1-visa case. While no lawyer can promise that your R-1 visa application will be successful, I can tell you if you are qualified and explain the documentation you will need to support your case. Religious workers include ministers, rabbis, imams and others who work in a vocation, as well as professionals, such as teachers, who work for a religious organization in a religious occupation. To qualify for an R-1 visa, you must have been a member of the sponsoring religious denomination for two year prior to your application. This denomination must have a bona fide religious organization in the United States. What Documentation is Required to Support My R-1 Visa Application? Evidence of your employment for the previous two years with an organization affiliated with the denomination in the United States. To arrange a consultation with attorney, Habib Hasbini, call 619=350-3111. The Law Offices of Hasbini is located on 945 4th Avenue, Suite 309, San Diego, CA 92101.